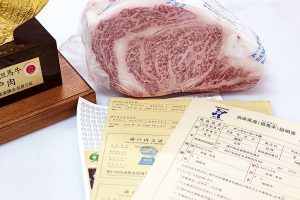 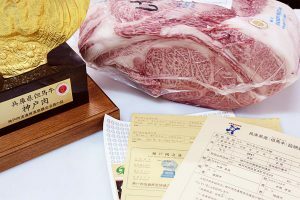 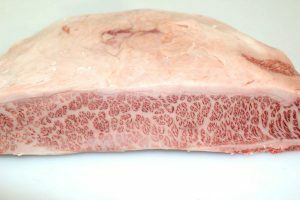 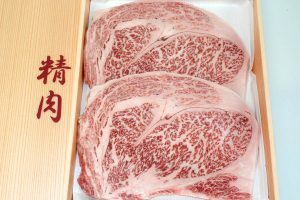 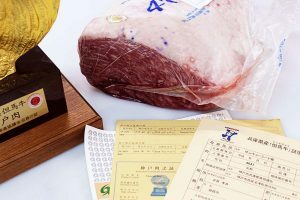 Japanese Wagyu Karubi Slice, or boneless short rib / flanken-cut rib, is one of the most popular cuts of beef for yakiniku. 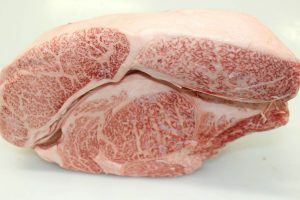 Tender and very juicy, Japanese Wagyu Karubi Slice has more marbling than roast cuts do. Go for “sankaku karubi” or “jo-karubi” if you want an especially marbled piece. 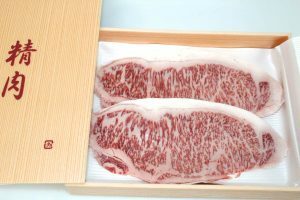  For the best flavor, cook for 80 percent of the time on one side until the meat has a nice grilled color, and only 20 percent on the other side. 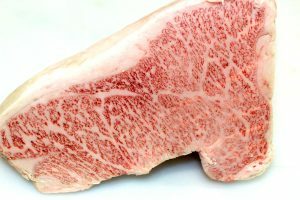 Because of its heavy marbling, a slice of karubi around 3 mm (1/8 inch) thick can be ready to flip in as little as 10 seconds. 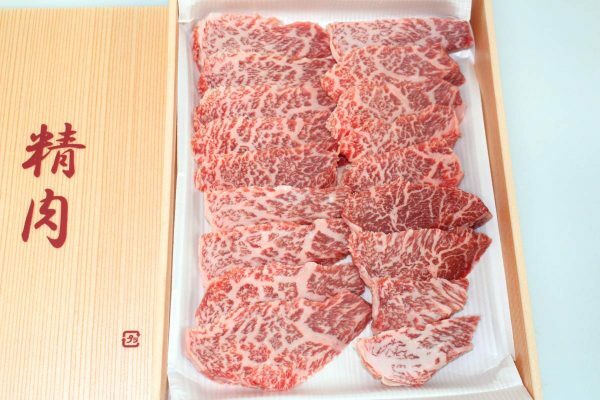 If you want to change the thickness or thinly slice for Sukiyaki or Shabu shabu, please select your preference above when ordering. 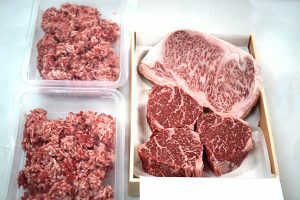 All steaks are chilled not frozen. 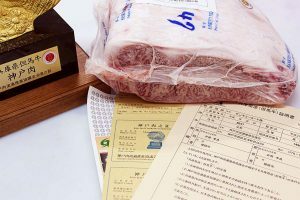 All vaccuum packed (in authentic Japanese gift box).